Punjab Public Service Commission has the mandate to announce the government jobs in the ministries and departments of Punjab government. PPSC conducts the exams of the candidates, who want to get the job in the government departments. 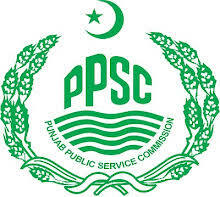 PPSC exams schedule is announced after receipt of application forms and the candidates are intimated through mail and they have to appear in the exams in the allotted exams centers. PPSC exams schedule is announced on this page and the candidates download this exams schedule so that they can appear in the PPSC exams on the scheduled date and time. The PPSC exams are conducted in different subjects according to the nature of the job, in which they apply to get the job there.